AfriSam has given a massive boost to the fight against the abuse of children and women by renovating a facility for the Steadville branch of Child Welfare South Africa in Ladysmith, KwaZulu Natal. Previously used as a police station, this facility will provide a secure and safe shelter for vulnerable children and women, as well as a conducive place of work for social and auxiliary workers serving the community of Steadville. 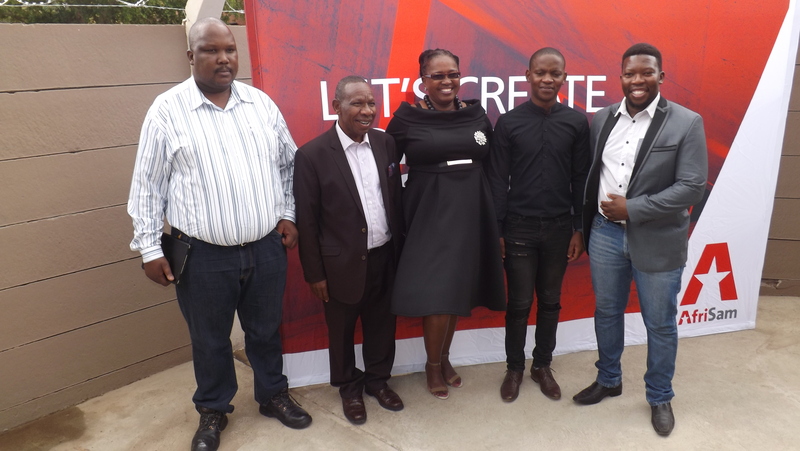 “This initiative is in line with our Corporate Social Responsibility mission which is to understand the needs of our society and communities in areas where we do business so we can make meaningful and sustainable contributions to their upliftment”, says Paul Mkahanya, AfriSam ESD Professional. This facility, which was renovated by AfriSam at a cost of R1 million, will assist the community with needs that are related to social work services such as counselling for abused children, after-care placement and the hosting of various community awareness, education and outreach programmes on sexual abuse and career guidance. The facility has offices for social workers and social auxiliary workers, who will be able to assist and educate the community in a clean, accessible and safe environment. There is a boardroom on site, which will be available for community members to use for meetings or other gatherings. “We currently have about 333 active cases of abuse or child neglect. A safe environment to attend to these cases therefore makes it easy for us to do our job”, says Phumzile Shoba, Supervisor at the Steadville branch of Child Welfare SA. Makhanya says the project was funded after stringent criteria, including consultation and involvement with local stakeholder engagement forums, local Integrated Development Plan, Department of Mineral Resources and the Social Labour Plans (SLP) guidelines – the guiding tool to meeting socio economic development goals of the company and for the host community. He says AfriSam has an intensive CSR programme that focuses on education and as such is involved in various educational projects nationwide, with the aim of empowering and equipping communities with the necessary knowledge and skills, as well as providing them with the tools and facilities to become self-reliant and sustainable. AfriSam has a long history of supporting the Steadville community. In 1993 the company built the Ekukhanyeni Pre-School and renovated the school again in 2015. The company also supports the Steadville Library Computer Lab, where IT equipment was supplied in 2015. Assistance was also provided to five students at the Mnambithi FET college in the form of laptops to enable them to complete their studies in IT-related courses. AfriSam donated R25 000 towards the Alfred Duma Museum for the Battlefield Festival 2017.